Tennessee courts have consistently and long maintained in cases involving custody of a minor child that biological parents are presumed to have superior rights over third parties including grandparents. The facts of In Re Guardianship Of Taylour L. are MarToiya L. (Mother) and Darius L. (Father) were married in 1998 with the marriage producing three children. They separated in 2007 and never lived together as husband and wife thereafter. In 2011, Mother filed for divorce. On December 14, 2012, Mother was tragically shot and killed while in the line of duty as a police officer. On December 21, 2012, the children’s maternal grandmother, Vivian W. (Grandmother), filed a petition seeking to be appointed guardian of all of the children. Grandmother asserted that Father had a history of domestic abuse and that he had failed to pay child support or participate in the children’s lives since 2009. On December 28, 2012, Father filed a response and counter-petition seeking to be appointed guardian of the children. In reaching its conclusion, the trial court found that Father had very little interaction with his children; Father had difficulty communicating with his daughters; Father received $30,000 following the death of Mother but failed to pay child support, choosing, instead to purchase an extended cab pick-up truck; Father pled guilty to stalking and served eleven months in jail; and Father had a history of physical altercations. 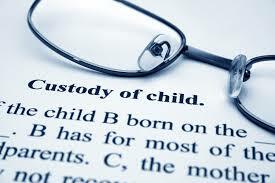 The trial court emphasized that the hearing was “not a custody hearing” thusly proceeding with a best interest analysis under the guardianship statutes found at Tennessee Code Annotated 34-2-103. It is not to the best interest of these children for their father, Darius L[. ], to be appointed as Guardian of the Person of these children at this time. As set forth above, Darius L[.] has anger management problems, has not followed the Orders of this Court, has neglected his children over an extended period of time, and is living in a domestic situation that is not conducive to instilling appropriate behavior for these children. The trial court further determined that the Children’s maternal grandfather, Marvin W. (Grandfather) should be appointed guardian of the children finding the maternal Grandmother not fit for the guardianship therefore empowering Grandfather to make all decisions regarding the appropriate education, housing needs, extra-curricular activities and medical decisions related to the Children. Father appealed to The Court of Appeals At Jackson asserting that the trial court deprived him of his constitutional rights to the care and custody of his Children without a finding that he posed a substantial risk of harm. We disagree with the trial court’s interpretation that appointing a guardian pursuant to Tennessee Code 34-2-103 requires nothing more than a best interest analysis when the choice of guardian is between a biological parent and a non-parent. Where a parent is not appointed as the guardian of his or her children, that parent’s fundamental constitutional rights to the care, custody, and control of his or her children are implicated. In that circumstance, be believe the two part test discussed in In Re Askew should be undertaken. Here, the trial court failed to make an express finding that there was a risk of substantial harm to the children should Father be named their guardian. Therefore, we find that the trial court acted prematurely in awarding guardianship of Father’s children to Grandfather based solely on a best interests inquiry. We vacate and remand this portion of the judgment to the trial court for a determination of whether Father poses a risk of substantial harm to the children. Accordingly, the Appellate Court vacated the trial court’s decision to appoint Grandfather guardian of Father’s three children without first finding a risk of substantial harm therefore remanding the case to the trial court for further proceedings. If your former spouse passes away, if you are not the primary residential parent, or you wish to be given guardianship or custody of your biological children or grandchildren, you should seek the services of an experienced family law attorney. Contact Jim Widrig or any of the attorneys at Widrig Law, PLLC to schedule a free consultation. Our phone number is 615-417-7800.